A charismatic country in the Balkans, with a landscape of rugged stone churches and jaw-dropping castles ripped straight out of the Middle Ages, Romania is one of Europe’s best kept secrets. 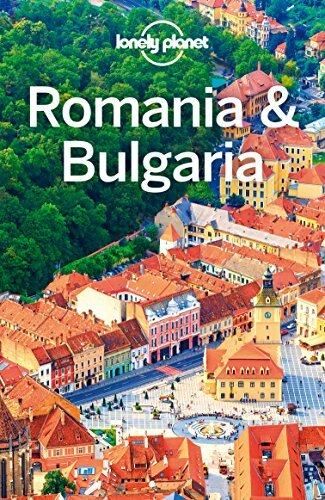 By European standards, Romania is well and truly off the beaten path, though for those willing to venture into the (relatively) unknown, the country offers one of Europe’s most authentic experiences; a wonderful blend of history, culture, and religion. Fascinating urban centers like Bucharest offer sharp and constant contrasts; blending a cosmopolitan vibe with well-preserved medieval buildings. Rural villages offer the chance to witness fascinating age-old traditions, and come into contact with Saxon fortresses, Gypsies and wild bears. Romania is also home to some of the most unspoiled wilderness in Europe, and from Delta villages built of reeds, to magnificent Gothic churches and castles backed by the majestic peaks of the Carpathian mountains, those seeking outdoor adventure are truly spoiled here. A surge in visitors from the United Kingdom, especially from London to Romania, has been observed in the last couple of years. So it’s well worth traveling while much of the country’s cultural authenticity is still preserved. Romania is the ideal place for brief and cheap vacation. However it’s still not a common destination by European standards, so if you’re not confident in planning a trip yourself, the professional help of a renowned travel agency UK can come in handy. You can easily reach Romania from any airport in the UK. There are no shortage of flights to the country, but try to fly as early as possible so you can get the most out of your first day. The flight time from London to Bucharest is 3 hours and 15 minutes. Even though 5 days are not enough to completely explore one of the most fascinating countries in Europe, you can definitely get a taste of Romania and sample many interesting parts of the country. If you’re hoping for an immersive experience you can also consider tours in Romania that are led by locals. After-all, nobody knows their country better than a local! Spend your first day discovering the energetic city of Bucharest. 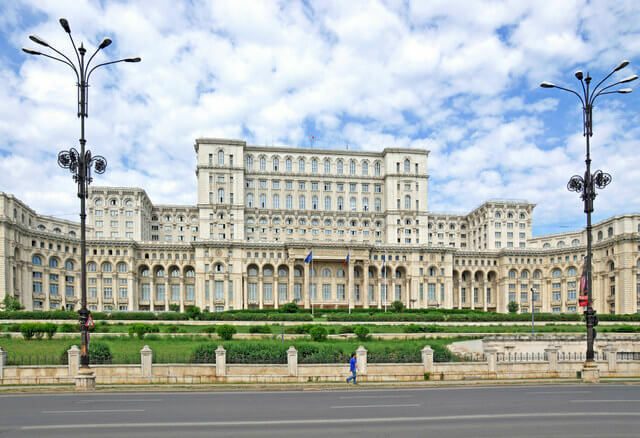 The capital of Romania, Bucharest is full of tree-lined boulevards, glorious Belle Époque buildings, city parks and trendy cafes. When it comes to buildings, the city center is modern and garish, though you’ll find a really fascinating mismatch of Art Nouveau, medieval, and abandoned communist buildings. A guided walking tour of Bucharest is the best way to tick off the main sights in the city. Pro Tip: Bucharest’s metro is a fast and cheap way to get around town. If you take a taxi, make sure you use a reliable company to avoid overcharging. Don’t miss the gargantuan Palace of Parliament. This is a spectacular building, the second largest administrative building in the world. Though controversial as it was built at great economic sacrifice to the country during the communist era. You’ll need your passport with you to purchase a ticket and enter the building. Then hit the Old Town. Known as “Paris of the East” for its cobblestone streets and trendy bars and restaurants, this is a pretty place to walk around. Grab some lunch and then explore the streets; historic sites include plenty of old churches like Stavropoleos, Zlatari and Selari. Don’t miss visiting the Village Museum; this is an open-air ethnographic museum in Herăstrău Park with over 200 authentic peasant farms and houses from all over Romania. For dinner, there are a couple of high end restaurants in the park, or you can head back to Old Town. Today you’ll leave the city behind for castles and medieval villages. Jump on a CFR train from Bucharest to Sinaia. The train takes around one and a half hours and shouldn’t cost you more than $10 USD. You’re stopping in Sinaia to visit the gorgeous Peles Palace (pictured at the beginning of the post). The palace was a private getaway for Romania’s royal family and is considered by many to be one of the most stunning castles in Europe (you must join a guided tour to go inside). 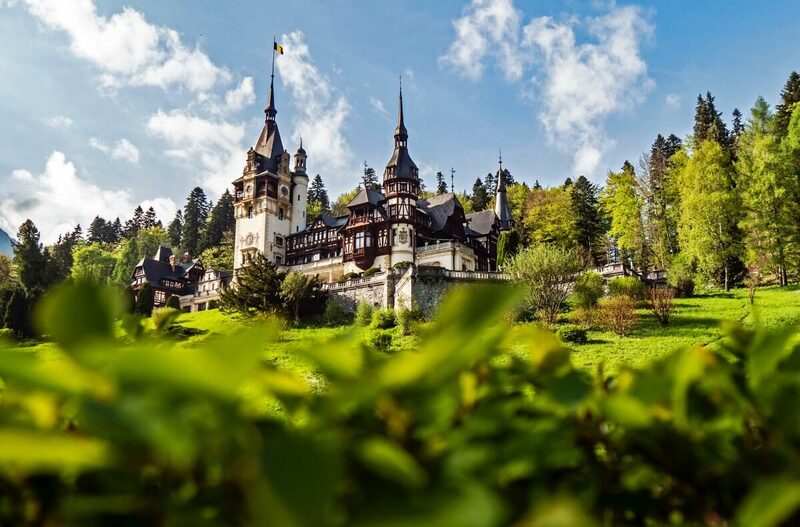 Sinaia is the gateway to Transylvania, so after spending half a day exploring the charming town and famous palace, head back to the train station for the hour journey to Brasov; a medieval gem resting at the feet of 12th century Mount Tampa. 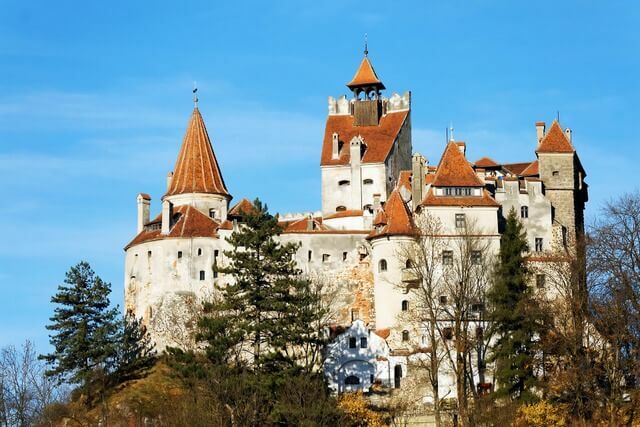 Bran Castle (above) is the main attraction here; 30 km from Brasov this region is well-known for being the mysterious land of bloodthirsty vampires and scary howling wolves. Learn about the myth of Dracula, the stories of Vlad the Impaler and find the iconic figure of Queen Mary. This region is bordered the Carpathian Mountains in the east, which still feels very undiscovered. If you’re not keen on staying in Brasov, many companies run day tours from Bucharest which take in both above-mentioned castles. Choosing to stay in Brasov the previous night will make it relatively quick this morning to visit the medieval fortification of Rasnov Citadel. With 800 years of history this is the best kept fortification in Transylvania, and one of the oldest structures of it’s kind. Built in the 13th century to protect Transylvanian villages from foreign invasions, and surrounded by thick forest full of bears and other wildlife, no invading army ever conquered Rasnov. You can take a taxi from Brasov for around 35 Lei ($9 USD). From there, head back to Brasov where it’s a 90 minute north to the UNESCO World Heritage Viscri Fortified Church (it’s a bad road but it’s worth the trip). Viscri is only one of the Saxon villages of Transylvania, though it’s one of the most popular fortified churches in Romania. Transylvania is home to 150 fortified churches, but Viscri is the oldest. Built in 1100 (others weren’t built until the 14th century), this is one of the oldest religious structures in the region. It has unique Gothic architecture and is surrounded by a beautiful picturesque village where descendents of the original Saxon settlers still live. You can then head a further 40 minutes north to UNESCO listed Saschiz and have a traditional Romanian lunch here. End your day by stopping by Sighisoara, which is another UNESCO listed site and one of the best preserved medieval citadels. Within the citadel, you will find bright streets, old workshops, gatehouses and Boehme cafes, where you can have a nice dinner. Your third of the medieval fairytale has come to an end. Stay overnight in Sighisoara. Your second-last day in Romania will also take you to a UNESCO listed site. One of the most beautiful Saxon villages in Transylvania, Bietran is famous for its 16th century Fortified Church; a hilltop medieval construction surrounded by three fortified walls. 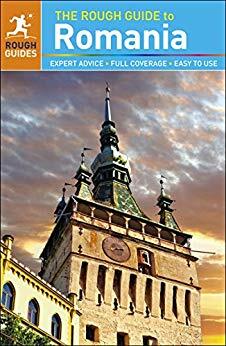 Bietran is a 40 minute taxi ride southwest of Sighisoara. After enjoying a peaceful afternoon in the village, head to Sibiu (an hour drive), which is another medieval wonder of Transylvania. 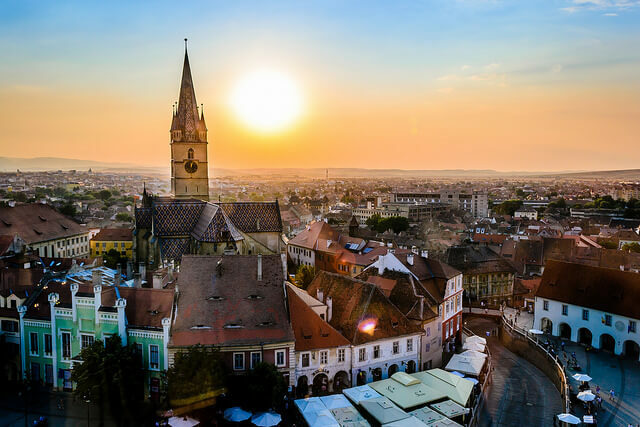 Sibiu was founded over 800 years ago by German settlers whose old city is surrounded by well-preserved 15th-century fortifications. It is home to some of the greatest Gothic, baroque and Renaissance architecture you’ll find in Romania. You can end your fourth day by having an incredible dinner at Crama Sibiul Vechi, where you will enjoy delicious traditional dishes in a cozy environment and beautiful ambiance. Stay overnight in Sibiu. Your final day in this wonderful country will take through some of the most incredible scenery in Romania. On your way back to Bucharest from Sibiu you will cross the Carpathians on the Transfagarasan, which is known as one of the world’s most scenic drives. The cheapest way to get from Sibiu to Bucharest is to bus it which costs around $16 – $20 USD and takes 5 h 32 min. Though the fastest way is to fly; you can catch a flight from Sibiu to Bucharest from $220 and get there in 2 h 42 min. 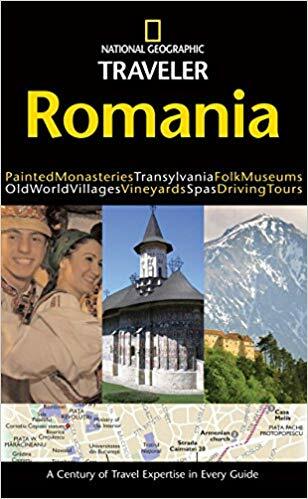 Romania travel itinerary; over five days you will discover beautiful places including Transylvania, Bucharest, and tick off many bucket lists like Dracula and stunning nature photography. Click to get the itinerary. Amazing place! I would love to spend a vacation there! I love how Romania is off the beaten path Meg. Makes me planning a trip more exciting. We will visit eventually; my granddad grew up in Transylvania so need to enjoy some of that brilliant fare he served us when we were kids. Excellent post. Absolutely Ryan, so much more authentic than the huge Western tourist hubs people typically flock to in Europe. So fabulous that you have a family connection to Transylvania, that should make a trip even more special for you :) Hope you have the chance to visit soon! Hahaha, I just came back from Romania 10 days ago and visited Sibiu also. I am originally from Bucharest and we go back there almost every year. It was my first time in Sibiu however. When I lived in Romania I dreamed of visiting other countries. Now I’m a tourist in my country of origin. Isn’t this funny? Fabulous Anda! I’m finding the same actually of me in Australia, I’ve spent the last 10 years traveling far and wide, but haven’t spent the time traveling my own country. I’m dedicating the next year to seeing what’s in my own backyard. Really is funny how we tend to do that! One of the most stunning countries in Europe! I am glad that they are recovering after so many years of abuse and oppression. I was born in Bucharest and lived there for 30 years, before moving to California. Romania is a beautiful country, but it has a very poor infrastructure. It’s one of those double edged swords – you want the infrastructure to improve for the best quality of life for citizens, though at the same time the lack of tourism as compared to other European nations is what retains its authenticity and keeps it unique. You are probably right. It also keeps the prices very low, if you noticed. However, with no roads it’s difficult to have a booming tourism.